Processing of chemicals exposes process equipment to highly corrosive fluids. Careful analysis of fluids, pressures, processes and manufacturing temperatures have shown a Duplex Stainless Steel Reactor to be highly corrosion-resistant in extremely harsh environments. It is critical that proper consideration be given to the effects of the chemistry on the material of construction during the manufacturing process; otherwise, the condition can rapidly decline, leading to equipment corrosion and ultimately endangering the process line. 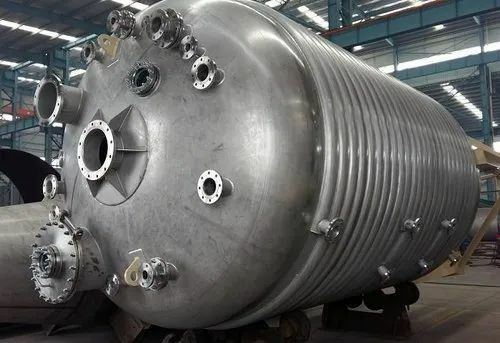 Specification of Duplex Stainless Steel as the material of construction for Reactors offers a long-term, cost-effective method to prevent damaging corrosion. Duplex Stainless Steel Reactors are highly cost-effective over the entire life cycle of the equipment. Properly maintained, R Square Engineers’ Duplex Stainless Steel Reactors can operate for decades, making them a very economical material selection over other available metals. We have years of experience in the Manufacturer and Trader of Foundation Bolts, Customized Fabricated Product, Industrial Valves and much more. All these products are available to the clients in customized forms, and are widely used in petrochemicals, fertilizers, chemical and process industries. The quality of our products is as per international standards. Advanced machinery and latest equipment used at our manufacturing unit enable us to meet the bulk orders of our clients, without any delay. Our team of skilled professionals reigns in the domain of manufacturing and has develop cordial relations with our clients, across the country.